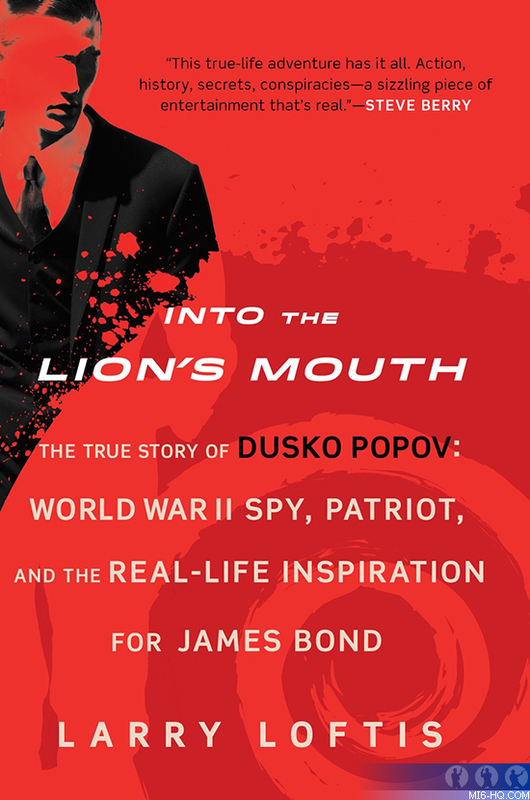 MI6 Competition: MI6 has teamed up with the Berkley Publishing Group to offer copies of "Into The Lion's Mouth: The True Story of Dusko Popov: World War II Spy, Patriot, and the Real-Life Inspiration for James Bond" to lucky readers. Where did Ian Fleming famously write his first Bond novel? Terms & Conditions: THE COMPETITION CLOSES AT MIDNIGHT GMT ON 15TH August 2017. MI6 WILL CHOOSE THE WINNERS AT RANDOM FROM THE CORRECT ANSWERS RECEIVED. THE WINNERS WILL BE CONTACTED VIA THE EMAIL ADDRESS SUPPLIED AND THEIR POSTAL ADDRESS WILL BE REQUESTED. IF A WINNER FAILS TO RESPOND WITHIN 7 DAYS OF PRIZE NOTIFICATION, ANOTHER WINNER WILL BE CHOSEN UNTIL ALL PRIZES ARE ALLOTTED. COMPETITION IS OPEN TO MI6 READERS WORLDWIDE. ENTRANTS MUST BE AT LEAST 13 YEARS OF AGE.